I had planned to post something before the year is out and something for the first week of the new year, however, I have experienced a family emergency that has placed those plans on hold. I am currently in Illinois spending the holidays with my parents, but will need to return to North Dakota earlier than expected to deal with a death in the family. Therefore, there will be no new posts in the next week due to the emergency. I expect to be back posting next week. In any event, have a Happy New Year and I hope that your Christmas was wonderful. Mr. Lincoln’s Brown Water Navy: The Mississippi Squadron by Gary Joiner, published by Rowman & Littlefield, Inc.
As If It Were Glory: Robert Beecham’s Civil War from the Iron Brigade to the Black Regiments edited by Michael E. Stevens, published by Rowman & Littlefield, Inc. The Badax Tigers: From Shiloh to the Surrender with the 18th Wisconsin Volunteersedited by Thomas P. Nanzig, published by Rowman & Littlefield, Inc.
Campaign for Corinth: Blood in Mississippiby Steven Nathaniel Dossman, published by McWhiney Foundation Press. If you are a publisher and would like to have your Civil War products reviewed here, please use the contact page and let me know, but be aware that it may take some months for me to have your book reviewed and posted, as I do have other work to finish. In addition, if you have titles on military history or American history up through 1815, then please check out my other blogs Military History Blog and Frontier Battles (linked under Dan’s Sites) and use the contact pages there to contact myself. While Amazon reviews are nice, I offer serious reviews, analyzing the book, and giving you a professional assessment of your products. To my readers, keep your eyes out for the reviews of the books listed above. 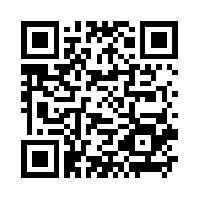 If you are interested in reviewing books and want to join the staff and do just that, then please let me know. I remember reading this book as a boy and found it to be one of the best novels on the Civil War alongside Stephen Crane’s The Red Badge of Courage. Since then, I have read the counter-factual Civil War trilogy by Newt Gingrich, which I highly recommend. I do encourage parents and teachers to have kids read Rifles for Watie, as it is a great book dealing with an often forgotten area of the war, the Trans-Mississippi Theater. The book by Harold Keith focuses on the story of Jefferson Davis Bussey (memory escapes me how he got the name in the book), who lives in Linn County, Kansas and decides to join the Union Army in 1861. Bussey goes on a journey through the war in the far West that encompasses a couple of actual battles and actual historical figures (Watie and Union General James G. Blunt) associated with the war in that area. One of the early experiences that Bussey takes part in is the Union defeat at the Battle of Wilson’s Creek in southwestern Missouri. Bussey also participates in the Battle of Prairie Grove in Arkansas. In addition to these battles, Bussey participates in many interesting adventures, both large and small, as he journeys through Indian Territory (now Oklahoma) with the Union Army. While venturing across the territory, Bussey encounters the beautiful Cherokee girl Lucy Washbourne, who is the brother of a Confederate soldier, whom Bussey takes a liking to. One of the better aspects to the novel is Bussey’s secret mission infiltrating the Confederate Army in the area, commanded by Stand Watie. The reader experiences Bussey’s harrowing time serving with Watie’s men, as he attempts to find out about someone providing arms to the rebels. Ultimately, Bussey succeeds in his mission and helps the Union in the Indian Territory. He returns to Kansas, much older, wiser, and with three stripes of a sergeant on his sleeve. The book illustrates how one young man goes off to war seeking glory and adventure only to find that war is cruel and destructive. This is a great first book for kids to read about the war and I highly recommend it for parents who have a child interested in the war. Well, it is done. 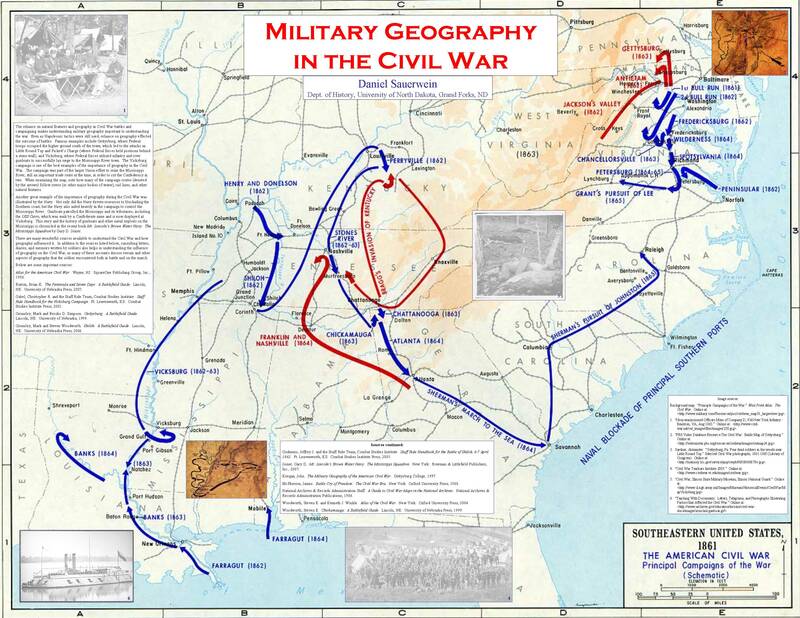 I have finished my poster for my class on military geography dealing with the Civil War, so I thought I would post it here as well. I hope you all like it, as I built it on Power Point and free-handed it. Please let me know what you think (click on image to view larger version). The actual size of the poster will be 44″ by 34″ and I plan to present it at the Graduate Forum on campus in the spring. When that happens, I will try to have pictures taken and will post them here. As I finish this semester and continue work on my thesis, I thought I would consider newspapers and their coverage of events surrounding soldiers. As you may know, I am researching camps of instruction in Illinois, where Union soldiers took their basic training while regiments organized before either reporting to larger camps for further training, or directly to the field. One area of examination within this topic is how the press covered the camps. In addition to the early stages of the war when camps were in operation, newspapers covered the war in larger ways as well. During the Civil War, most newspapers in Illinois were shorter compared to today, often only being four pages long. Most items printed were only a few lines long, with longer pieces being present, as well as advertisements. Most of the newspapers that I have looked at for my research are like this. The newspapers provide longer articles for more nationally related news and shorter articles on war-related events of a more local orientation. In addition, papers sometimes published letters written by soldiers to give local residents an idea of what local men in the army were experiencing in the war. There are two important considerations when thinking about newspapers during the war as well as the letters published in them. The first consideration is the viewpoint of the paper. Illinois, like other Midwestern states had concentrations of Copperheads and others with Southern sympathies of varying levels. This means that certain local newspapers possibly harbored anti-war/pro-Southern leanings in its pages. I cannot make a determination on the newspapers that I have thus far examined for my project, but, with a more thorough examination of the papers, I may determine if such leanings exist in certain papers. The other consideration is also difficult to pin down, but is as important as the ideology of the newspaper. The concept of “canned” letters, letters written for the soldier to send home or to local papers was suggested to me by one of the professors in my department who attended the presentation session for my research seminar class, where my colleagues and I presented sections of our papers to department faculty and our fellow graduate students. Again, as with the ideology of a particular newspaper, I have not found and do not know of a source to determine whether the letters that I have found, or others that were published in local newspapers were written for the soldiers, but I will be on the lookout to find such information, as it will influence not only my research, but research into Civil War soldiers. The newspapers at the time are interesting reading, as they serve as a gateway into the communities during the Civil War. With regard to the camps of instruction in Illinois, many newspapers in Illinois presented readers with pieces on the progress of the soldiers in the camps. In addition, soldier letters were published, which described many happenings in the camps. Outside the camps, the papers presented their readers with articles, both short and long about the progress of the war, particularly in the East. The papers also devoted space to covering the happenings across the state surrounding the war, especially the formation of regiments. All of these pieces in various newspapers combine to present a situation of communities in Illinois, and many other states, being well-informed about the war, if they had access to a local newspaper. Overall, the newspapers in Illinois seem fair to the soldiers, as they generally presented the men in a positive way. The overall opinion of the paper with regard to the war as a whole is harder to determine, but since I have only examined newspapers from early in the war, it seems that most papers were pro-war, as the Union had been affronted at Ft. Sumter and had yet to suffer the rounds of defeat in the East, or the triumph in the West. It does seem that since most Illinois soldiers were serving in the Western Theater that most papers in Illinois held more of a positive view of the war given the success of the war in the West. The people of Illinois had many newspapers available to them and, depending on literacy rates, had the potential to be very well-informed about the war. Civil War era newspapers are a really great resource and are worth examining to understand the war and its influence on communities large and small. A recent episode of TLC’s Little People, Big World inspired this post. The episode noted how Matt Roloff, the dad, brought two of his children to Paducah, Kentucky with him, as he was there for a speaking engagement. 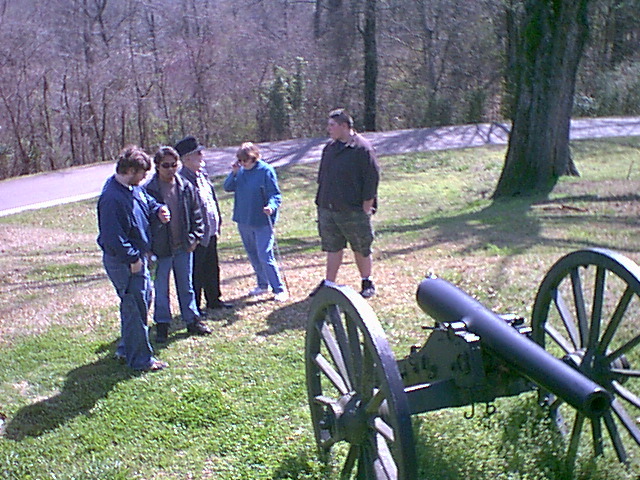 The kids visited Civil War related sites and met reenactors, who allowed them to handle their equipment. The episode mentioned the kids’ interest in the Civil War and history and it got me thinking about the many wonderful memories I have visiting battlefields and other Civil War sites both with my parents and while in college. Over the years, I have visited the following battlefields (some more than once): Parker’s Crossroads, Shiloh, Corinth, Vicksburg, Stone’s River, Gettysburg, Antietam, Fredericksburg, Chancellorsville, The Wilderness, Spotsylvania Courthouse, and Appomattox Courthouse. I visited the sites in the Western Theater on two occasions. 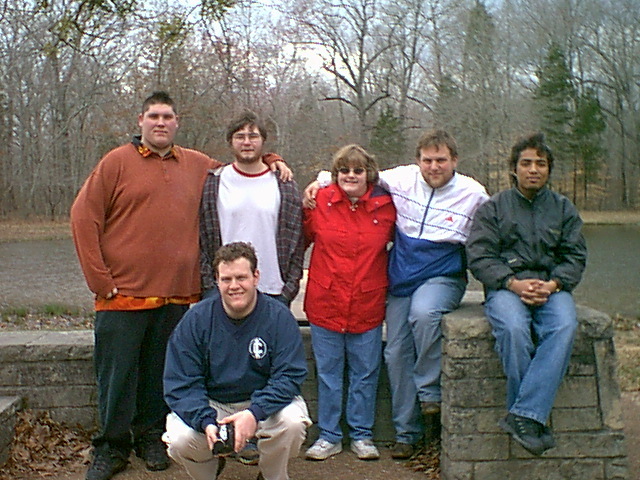 The first time was about ten years ago, when my parents and I took a trip down south from Illinois to Nashville. While on the way to Nashville, we stopped at (actually, we stumbled across it) Parker’s Crossroads, which has a personal connection, as one of my ancestors (my relation to him is uncertain) died as a result of wounds suffered in the battle. We then went to Nashville and visited Opryland USA and the massive Opryland Hotel (Nashville is a great city by the way). We then headed towards Vicksburg, but stopped at Shiloh along the way. While at Shiloh, my dad and I enjoyed ourselves, as this battle is one of our favorites because it cemented the career of that great, formerly drunken, general who took the fight to the South, as opposed to some of his Eastern counterparts, Ulysses S. Grant. My mom merely tolerates my dad and I’s fascination with history, but even my dad did something on this trip that surprised me. We stopped by the Sunken Road and my dad decided to walk down it, while mom and I ate (nowadays, I would probably join him on the walk, but I was much younger at the time). We ended up waiting around, wondering where he was only to find out that he walked to the Hornets’ Nest to “commune with the ghosts of the past”, as he put it. After Shiloh, we spent a couple of days touring beautiful Vicksburg, Mississippi (if you ever have the chance, please visit this city, as it is quite beautiful in the spring and summer). Mom spent time either in the hotel or shopping, while dad and I visited the battlefield and the museum to the USS Cairo (pronounced kay-ro), a Union gunboat sunk by a Confederate mine (they used the term torpedo then), which was salvaged and now serves as a floating museum. 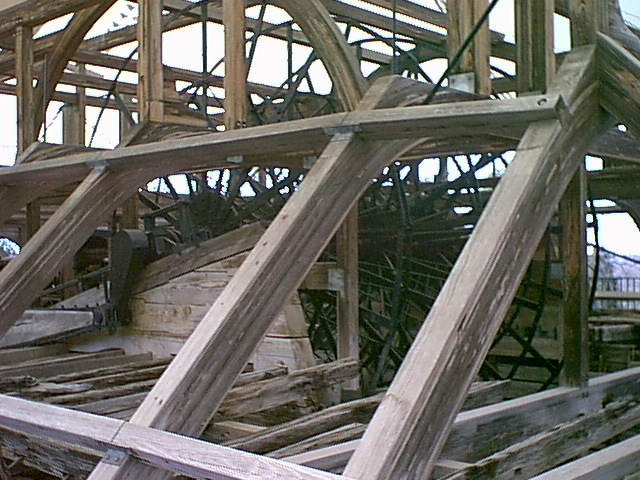 This is the USS Cairo, which I photographed during my second visit to Vicksburg in 2004. 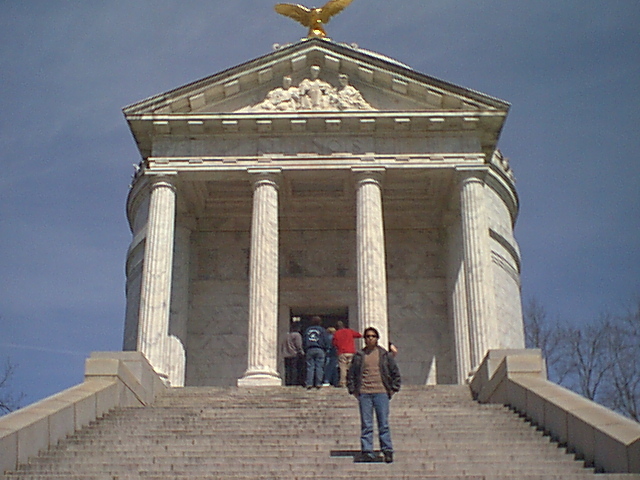 My second battlefield trip was during Spring Break 2004. While most college students go to the beach and party hard, several fellow history enthusiasts, Dr. Jim Davis (I will get you to write for this site sir), and I toured the South, visiting Vicksburg, Corinth, and Shiloh (we attempted to convince Dr. Davis to visit the Jack Daniel’s distillery, but that was not to be). We had a blast, as we enjoyed good conversations with Dr. Davis as well as interesting sites, including the gentleman in northern Mississippi who filled his gas tank next to our van with a lit cigarette in his mouth. A couple of the sites we visited were the courthouse in Vicksburg, as well as the monument to Illinois soldiers. 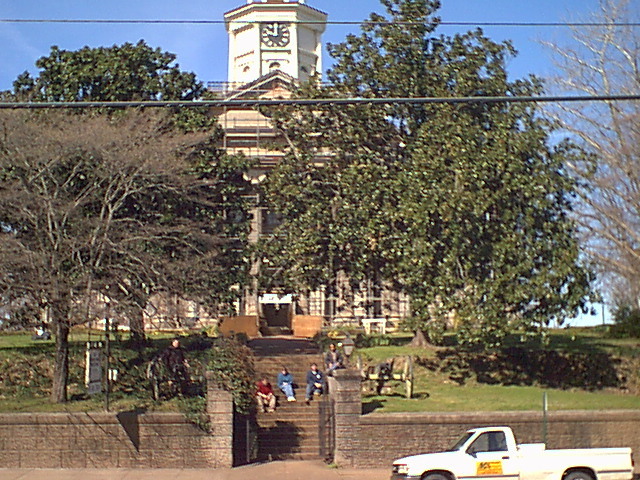 The courthouse at Vicksburg, with some of my friends sitting on the steps. The monument to the Illinois soldiers that served at Vicksburg. What next General? Discussing the artillery piece with Dr. Davis. After visiting Vicksburg, we headed northeast towards Corinth. Along the way, we stopped in beautiful Oxford, MS, home of Ole Miss. Oxford had a really cool square and was geared towards the university. We enjoyed visiting a local bookshop and dinner at one of the local restaurants. The next morning, we toured Corinth and visited the national cemetery located there and saw the construction of an interpretive center for the battle. We then headed to Shiloh and had a wonderful time visiting the site. Here are a couple of pictures of from Shiloh. 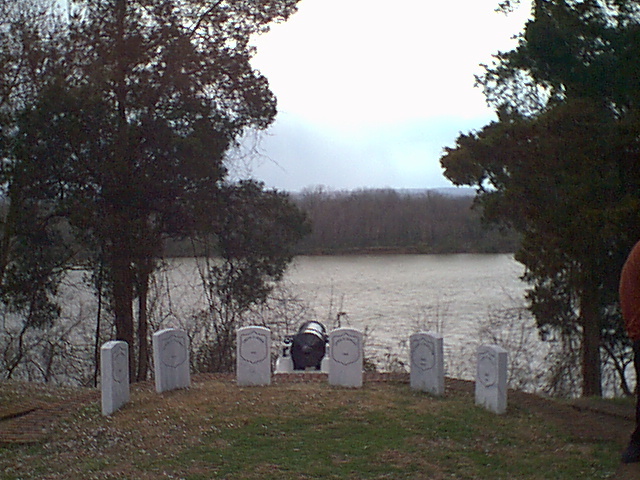 Overlooking Pittsburg Landing on the Tennessee River at Shiloh. We are posing in front of “Bloody Pond”, where wounded soldiers drank and bathed their wounds after the first day of battle. 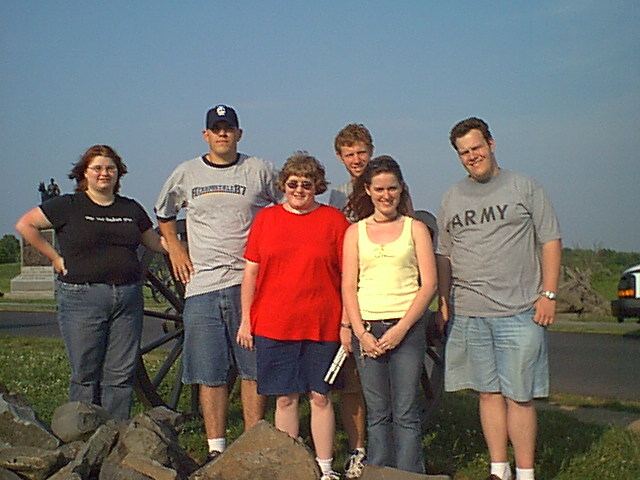 My last battlefield trip was while I was on a 15-day research trip to Washington, DC with Dr. Davis and several other history students in summer of 2004. We visited Gettysburg, Antietam, Fredericksburg, The Wilderness, Chancellorsville, Spotsylvania Courthouse, and Appomattox Courthouse both on the way to and returning from DC. Time and weather limited our visits to The Wilderness, Chancellorsville, Spotsylvania Courthouse, and Appomattox Courthouse, but we made the best of it. We spent more time at Antietam and Gettysburg, which was great. I could have spent days in Gettysburg, as there are all sorts of unique stores, including reenacting stores. We toured the battlefields extensively. At Gettysburg, we visited the town as well, taking in the shopping and other sites. Of course, what trip to Gettysburg would be complete without walking Pickett’s Charge. Though it was a hot day, I had a great time at Gettysburg and hope to go back someday. Here are a couple of pictures, one from Antietam and the other at Gettysburg. 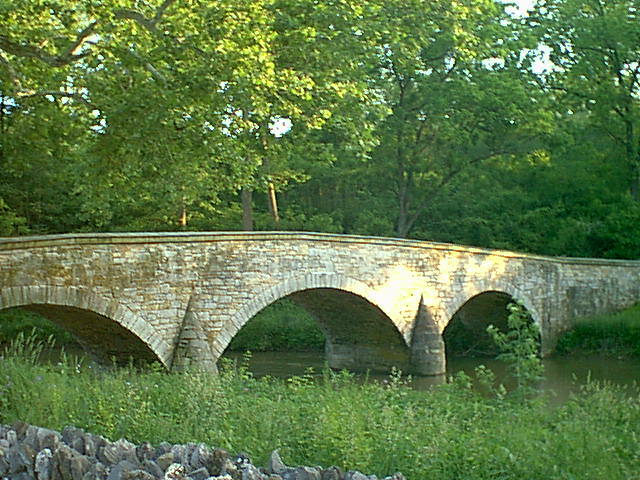 The stone bridge across Antietam Creek. Our group at the “High Water Mark of the Confederacy” where rebel forces briefly broke through the Union line during Pickett’s Charge. Overall, I have wonderful memories of visiting all these sites with friends and family and it is something I hope to pass on to my children someday. I encourage everyone to take a lesson from the Roloffs and I and take your kids on trips to historical places, as they are wonderful opportunities to bond and teach your kids about where we come from. I would also encourage families to check out or buy books on the subjects and places of family trips. For serious history buffs and scholars, I encourage you to purchase Staff Ride guides or battlefield guides published by historians, as they provide a more in-depth look at the sites. So get out there and travel, and most importantly, have fun. Are we in need of another Civil War movie? With recent Civil War based movies not being up to snuff (Gods and Generals and Cold Mountain), one wonders if any good Civil War movies will ever be made, or if one could have success. I believe, if done right and without Ted Turner financing, that such a movie is possible. I think, however, that a new Civil War movie should focus on the Western Theater because all too often Civil War films focus on the East, even when exciting things were happening in the West. The two films that come to mind that deal with the Western Theater are the classic John Wayne film The Horse Soldiers, which is based on Grierson’s Raid in Mississippi in support of Grant’s Vicksburg Campaign, and The Blue and the Gray, which is actually a miniseries dealing with the entire war and its effect on a family with sides serving both sides of the war. Both of these works are dated and the time has come for a great new film on the war. Vicksburg-this idea would attempt to replicate the greatness and balance that was Gettysburg, but with a focus on one of the most important battles in the West. The only issue with this idea would be compacting a lengthy siege into a two or four-hour long movie, but the effort would be worthwhile, as I would love to see someone Grant and Sherman on the silver screen again. Gunboats-this concept would focus on the story of the Union gunboats patrolling the Mississippi and her tributaries in support of the various campaigns in the West. This film would fill a niche, as there really have been no good films on the navy in the Civil War, and no, the movie on the Hunley does not count. One wonders who would make a good David Farragut. Grant-sorry Confederate sympathizers, you have your glorification film for Stonewall Jackson (Gods and Generals), now it is the Union’s turn. Much like the dismal Ted Turner glorification of the South, this concept would focus on Grant the general, while providing a supporting cast of other prominent characters to discuss a period and section of the war, particularly Grant’s career through Vicksburg, focusing on Shiloh and Vicksburg. It would be the Gods and Generals that we all would have liked to have seen. Georgia Howling-this idea would not show well in the South, but it would be a hit with all hard-core Union men and women. As the title suggests, this film would deal with Sherman’s “March to the Sea” and would be more focused on the history and not a love story (this is not to say that Gone With the Wind was not a great film). Antietam-yes, the other ideas have a Western focus, but I want what was omitted from Gods and Generals. 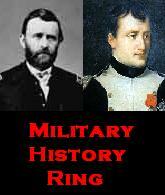 Antietam has such historical significance, but militarily was a draw that it is worthy of a film. Since I do not really care about George McClellan, I can come up with some interesting ideas for who would play him. In any event, this battle is one that should be adapted to film. So, there you have it, five ideas for possible great Civil War films. While I could have thought up more, I decided to limit it to five. One honorable mention would be a film based on a novel. One of the best novels I read on the war as a boy (well before Newt Gingrich wrote his wonderful counter factual history trilogy) was Rifles for Watie, which follows one Kansas soldier’s adventure fighting the war in the Indian Territory (now Oklahoma) and Arkansas. While the general Stand Watie was a real person and some events in the book actually happened, it would be nice to see this great work of fiction adapted to the screen. After all, we have Gone With the Wind and Cold Mountain, so why not Rifles for Watie? 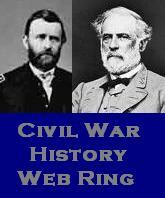 If you have your own ideas for great Civil War films, share them by leaving a comment. Who knows, maybe one of these ideas can become a film someday.